Situated on the southeast side of the broad and beautiful Philipsburg Valley is the Pintlar Shadows Ranch. The ranch is saturated with panoramic vistas in every direction from the distant vistas of the Sapphire Mountains to the west, the overlooking views of Georgetown Lake, and broad valley views of the fertile stream strew ranches to the west. However the capitol view is the commanding Continental Divide along the Pintlar Range to the south featuring views of Fish Peak [10,160’], Rainbow Mountain, and Cutaway Pass. This 1,150 acre ranch has historically been a summer grazing area for cattle ranching but for the last 10 years it has ’rested’ from ranching activity. The property has an east west orientation with a moderate slope to the west while still allowing for vehicular access on the vast majority of the ranch. The property is a pleasing combination of open range vistas, draws that provide excellent wildlife holding sanctuaries, and forested stands of a variety of trees. Many of the forested areas have ideal sheltered grazing areas. The upper reaches of elk creek run through the lower section of the ranch and offer both stock and wildlife a water source. Listed for $3,500,000.It can also be purchased together with the Georgetown Lake Homesite for $3,900,000. Back to top of page. This beautiful 91 plus acre parcel fronts completely on the Stillwater River with commanding views of idyllic farmland vistas. The river slowly flows and meanders along its 4,500 feet of watery oasis and the habitat is teaming with a variety of wildlife. 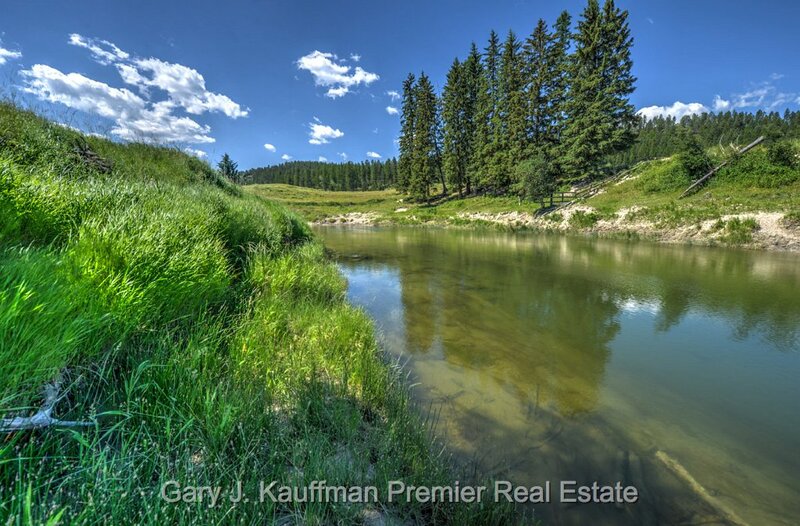 With over 4,500 feet of frontage on the Stillwater River this property offers the homeowner, gentleman farmer, or developer a myriad of opportunities to create a coveted enclave just 6 minutes from downtown Whitefish. The property is in 5 parcels which would allow for boundary line adjustments to create a logical parcel layout to enable the buyer to sell off individual parcels in the future. Listed for $1,495,000. Back to top of page. Sheltered on the banks of the Clark Fork River the Clark Fork Retreat is an amazing offering of some 420 acres that encompass some of the best trout fishing in Montana. Driving to the retreat the private driveway offers panoramic Clark Fork Valley vistas combined with dense forest canopy stretches. The land is surrounded on three sides by the United States Forest Service and fronts completely on the fourth side by the Clark Fork River. The greater portion of the property is heavily forested in fir, larch, pine and other native tree species, the river bottoms have classical cottonwood river forest bottoms. Just downstream of the Schwartz Creek river access, this sportsmans paradise includes both sides of this prolific section of the river, even more, the river braids into two significant channels and both sides of the channels are owned by the landowner. This is truly a fishermans jewel. Listed for $1,795,000. Back to top of page. Without a doubt this retreat is among the most-unique and inspiring holding in southwestern Montana. 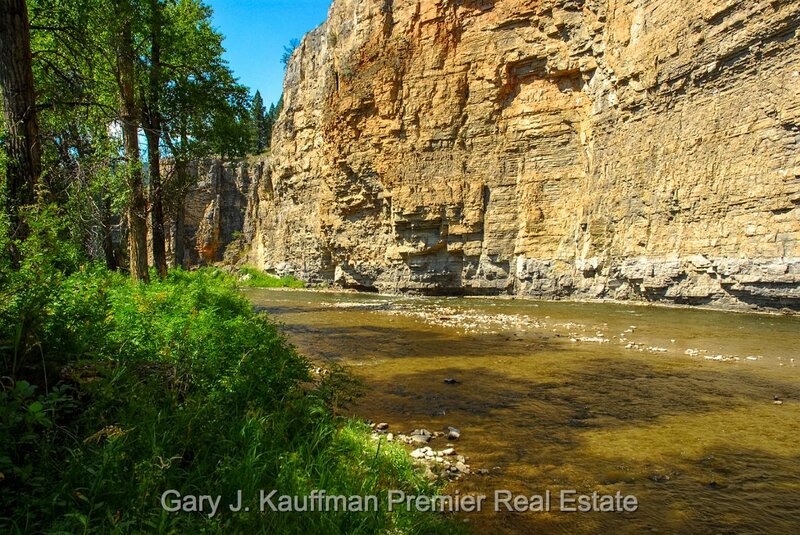 The 800 plus acres are located on the South Fork of the Boulder River. The unparalleled vistas, dramatic landscape and breath taking beauty are symbolic of the national park settings of the West. 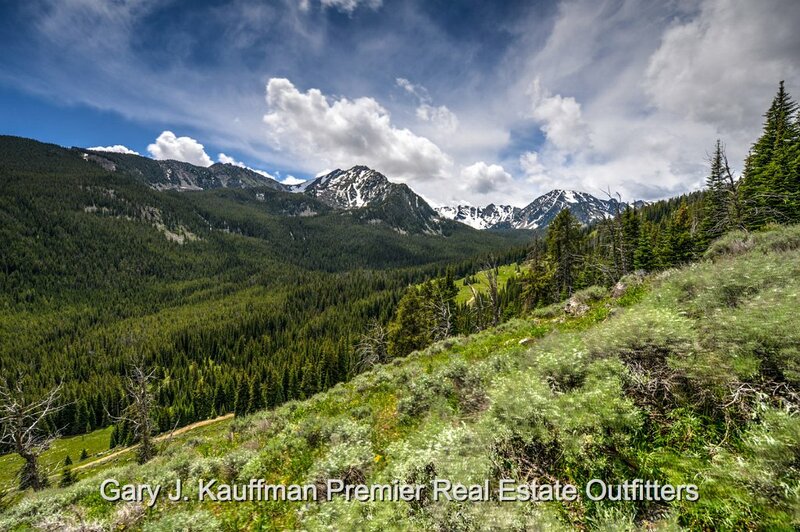 The alpine meadows of this amazing property are surrounded by shear rock walls and faces that create a home for mountain goats, elk, deer, and perhaps the largest variety of big game in the country. 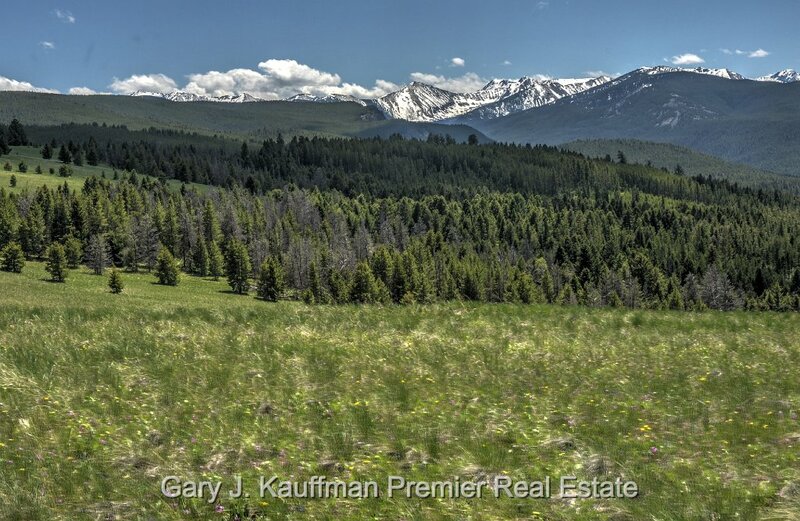 This full section of land is in the midst of the Tobacco Root Mountains and is totally surrounded by wilderness, This is truly what is considered a heirloom or legacy type investment. 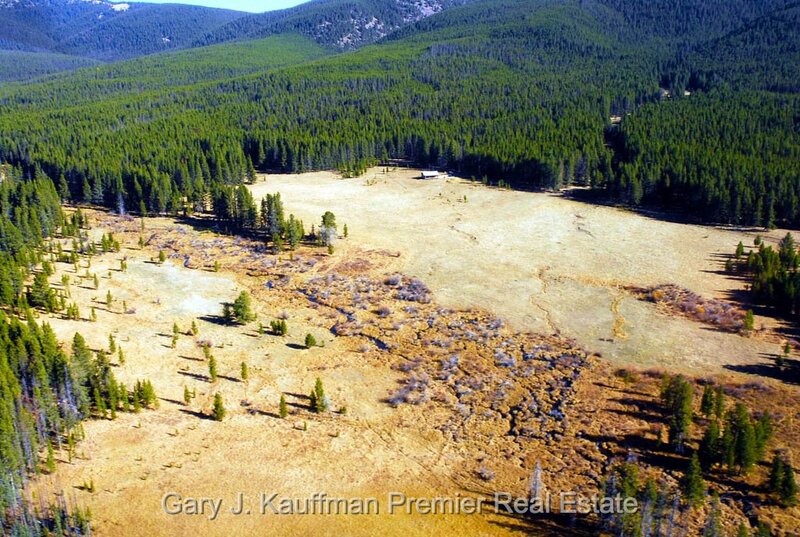 This 80 acre parcel of undeveloped property on the edge of Evergreen presents the investor-developer several options with regard to development. 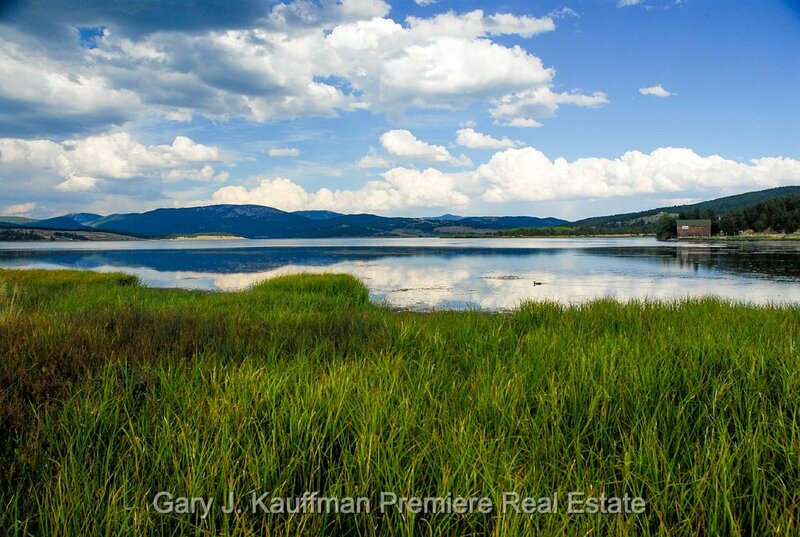 This river front tract of land has beautiful riverfront with panoramic views of the mountains to the east. It is a rich riparian habitat that attracts wildlife but still offers the investor income producing opportunities. The property lies just to the north of a State parcel which give shelter the property from the south and it also has a natural slough to the north ensuring additional privacy. The property sits on the edge of the Evergreen water and sewer district which may provide for public services for development. What’s more, the property includes a one and hone half acre home site together with a home and garage. Listed for $1,190,000. Back to top of page. The Willow Creek Hunting Camp is just that, a retreat from the rigors of life and is a secluded haven for the avid hunter and sportsman. The property is some 114 acres with picturesque Upper Willow Creek meandering through the meadow. The large meadow is an important food source and the surrounding forest provides cover and security to the wildlife that inhabits the area. Included is a log cabin that the owner has just remodeled with a new roof, new front deck, new flooring, windows, door, and new staining. Sit on the porch and watch the abundant wildlife. The area abounds with moose and elk. The cabin sits on the edge of the wood line overlooking the scenic meadow. The property is primarily all in meadow and pasture. The property is located in Granite County, Montana, one of the most prolific production areas of trophy elk is the State. The historic town of Philipsburg, with all its charm and character, is only 27 miles away. Listed for $795,000. Back to top of page. This rare and beautiful Georgetown Lake lot is over 4 acres and ready for your building plans. It is approved for on-site septic and has utilities nearby. It is level with eastern exposure and the road side of the parcel is treed. Georgetown Lake which is one of Montana’s premier blue ribbon fisheries offering nearly year round angling for trophy rainbow and brook trout and kokanee salmon. With an average depth of 16 feet, the lake is relatively shallow and much of the lake bottom is weedy providing excellent cover for the fish and habitat for the insect larva, aquatic insects and the fresh water shrimp that make up a large part of the trout’s diet. Listed for $420,000. Back to top of page. This incredibly rare offering is a fly fisherman's or nature lover's dream. It is so rare a property comes on the market that has frontage on the much-sought-after Smith River that it is the only one that has come on the market in the last 3 years. At the time of listing it is the only one in the Montana MLS. The Smith is an awesomely beautiful and picturesque river that meanders through the mesmerizing scenery with towering rock cliffs, inspiring vistas and prolific wildlife habitat. What's more, the Smith is one of Montana's most captivating Potomac River Riverfrontfisheries that draw fisherman from around the world. While the very affordable .6 acre lot sits on the slope to the Smith its perch offers distant vistas and watery river views from its vantage point. It is not an uncommon sight to see wildlife in this verdant river bottom setting. sold - Listed for $249,000. Back to top of page. 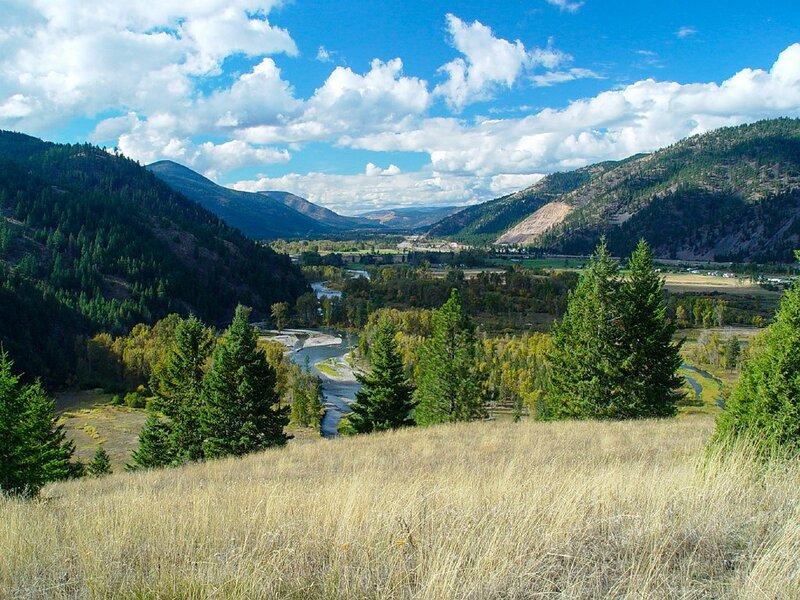 These 2, one-acre building sites are within the sound of the mesmerizing cadence of the Flathead River and are ready to build your dream cabin or recreational home. Just across the river from Glacier National Park these level, heavily forested lots are in an area that offers the seclusion of the Essex area with the convenience of access off a major highway. These parcels are dense with a multi-storied canopy of spruce, pine and fir and is occasioned frequently by the fauna of the Glacier Park ecosystem. These lots present the future home owner with the opportunity to secure an end-of-the-road setting for a very reasonable acquisition cost. 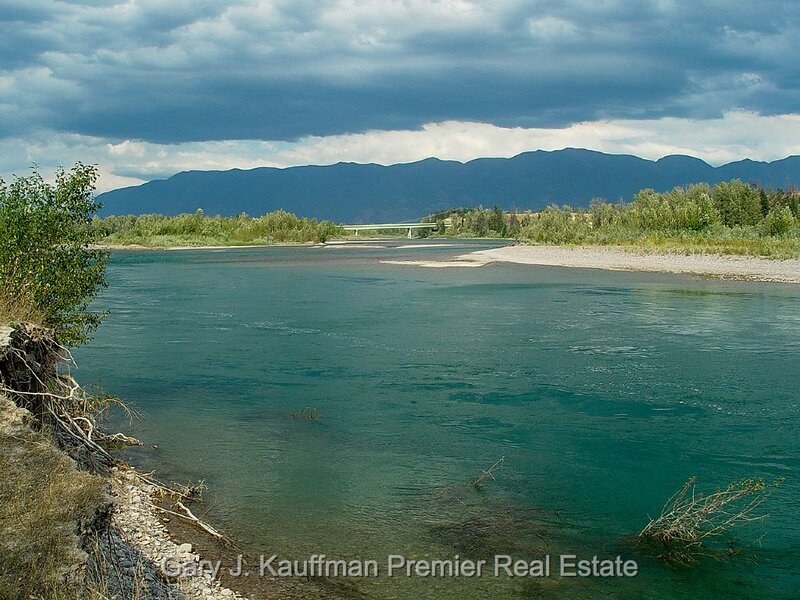 The home sites have electricity to the lot lines and they have access to the Flathead River by a walking trail. The lots can be purchased individually; but together they provide for an even more private setting. Listed from $49,900. Back to top of page.